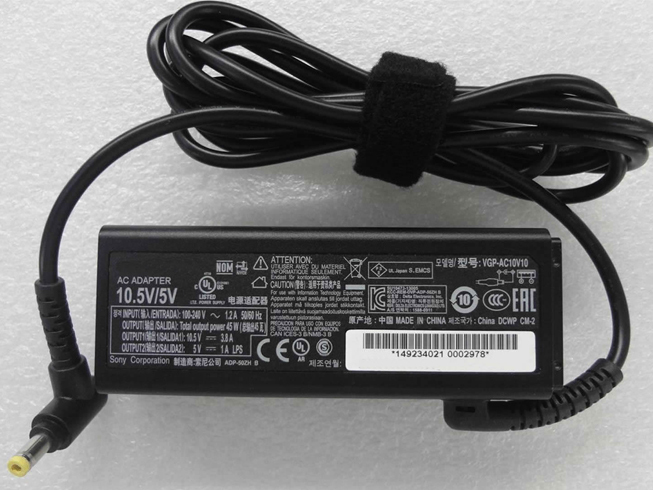 Sony VGP-AC10V9 Adapter | Sony VGP-AC10V9 laptop Power Adapter replacement for Sony Connecter size: 4.8 mm*1.7 mm (ref to the picture). Sony VGP-AC10V9 replacement laptop Power Adapter for Sony VAIO PRO SVP1321J1EB SVP11217PGB. Buy cheap laptop Power Adapters, VGP-AC10V9 laptop Power Adapter with low price and high quality!This GSB195 Sony VGP-AC10V9 meet or exceed the original laptop Power Adapter specifications.